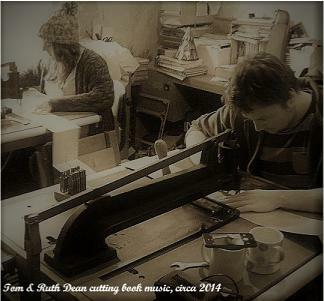 The Dean family have been running businesses from Whitchurch since the 1930s, when Mr Edwin Dean moved his home and business "E. L. Dean & Co" from its Bedminster base to relocate in the Somerset Village of Whitchurch. To read more about the full history of our family and its businesses please click here. Dean Organ Builders History. Today still trading from its Whitchurch village premises our family business offers a friendly high quality service coupled with traditional skilled craftsmanship. The business is currently run by Richard, Sue and Thomas Dean. 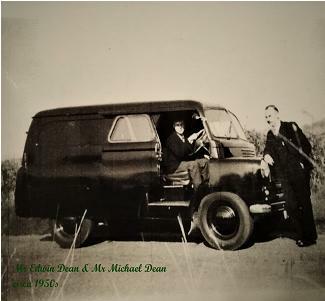 Richard (Eldest son of Michael Dean & Edwin Dean's grandson), was brought up with the family business and spent much of his childhood in the workshop. He made his first model fair organ when he was about 8 years old, and progressed to owning a real mechanical organ by the age of 10 which was built for him by his father Michael Dean with a little help from Richard where possible. Whilst at school he studied history, art, and technology amongst other subjects and enjoyed playing cornet and studying guitar, he also played drums in a local band with friends. On leaving school Richard first studied business studies at South Bristol technical college whilst gaining work experience with Imperial Tobacco working in both the engineering department and public relations as well as working in the family business part time when required. Later Richard attended Brunel technical college to study mechanical and production engineering. 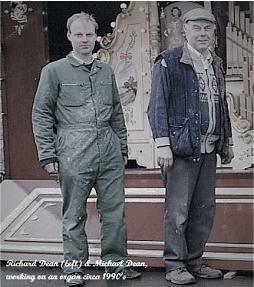 In the 1980s Richard joined the family business full time and commenced a six year organ building apprenticeship under his father Michael Dean, with specific mentoring and advice from organ builder Dennis Chappell. Richard became a partner in the business in 1989. On the retirement of Michael and Pat Dean in the late 1990s Richard became the senior managing partner. Richard is a member of the Incorporated Society of Organ Builders and a member of the Institute of British Organ Building. musical instrument repair and music supply. Susan Dean (Richards's wife) after leaving school attended South Bristol Technical College before starting her working life with Midland Bank. Progressing to the corporate section before leaving to start a family, during this period she worked part time and helped run a local preschool before going on to have a successful career with the local health authority. In the late 1990s she joined the family business part time before going full time in 2001 becoming a partner in Dean Organ Builders in 2006. 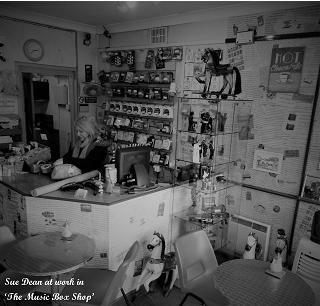 The Music Box Shop where she specialises in the supply of new music boxes. Thomas Dean (Edwin Dean's great grandson) was brought up with the business and at an early age he showed a keen interest in technology, woodworking, engineering and excelled in music, playing keyboard, guitar, bass guitar, percussion, banjo and double bass. Whilst at school he was a member of the school's swing band as well as playing, song writing and composing in various other bands who gigged in and around Bristol. At secondary school Tom studied music technology, design technology and physics to A level. Helping in the family business whilst still at school his interest in mechanical music blossomed still further which led to his decision to join the family business. On leaving school Tom started an apprenticeship under his father Richard. The first year of his apprenticeship saw him attend City of Bath College to study woodwork and cabinet making, following this he worked alongside his father and mother in the business whilst also studying a degree course in engineering design and innovation with the Open University as part of the academic side of his apprenticeship. Tom became a junior partner in the business in 2018. He works full time for the company and is involved in all aspects of the hands on craft of organ building and music supply with particular responsibility for music arranging and the use of modern technology in organ and product production. He is a member of the Incorporated Society of Organ Builders. Ruth Dean (Edwin Dean's great granddaughter) helps out with the family business from time to time as required. Ruth studied keyboard and violin whilst at school and played violin in the school orchestra, she studied History, English language and Geography to A level and excelled in athletics to national standard, she worked in the business part time whilst at school. On leaving school Ruth attended the University of the West of England attaining a degree in history, graduating in 2013. On leaving university she worked part time for the business and often undertook historical research on instruments that were being restored. She specialised in artwork restoration along with the cutting of music books. In 2016 Ruth returned to university at Bath Spa to do a PGCE graduating in 2017. She currently works as a teacher but does like to keep an involvement in the business so helps out as required voluntarily with various aspects. Being a small family business does sometimes mean that our waiting list for new organs or restoration can on some occasions be timely. However as all the work is done in house by ourselves it does mean you are assured of quality work and the people you deal with at Dean Organ Builders are the very crafts people that will undertake your work.